I started by piling every day into one giant accordion, but I felt like I was never going to finish so I broke it into sections. The accordion format probably isn’t so necessary now, but I already started so here goes. The format is so that each accordion header shows the miles ridden that day and the elevation climbed in feet. Part 1 is days 1-8. A timeline that goes from feeling great and racing strong, to dealing with injuries and mentally struggling. 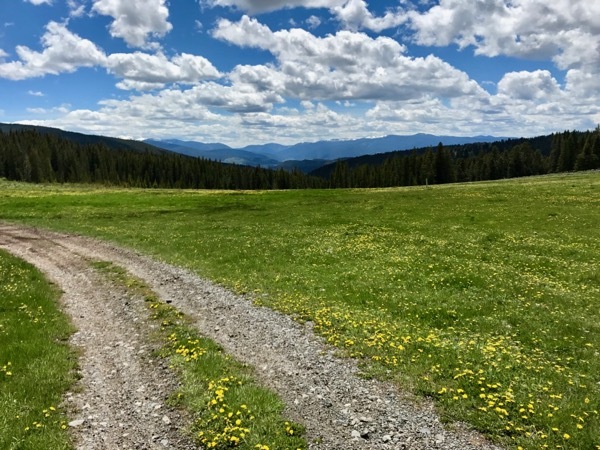 I was riding farther than I could have imagined and was a little blown away with what I was able to demand from my body day after day. Happy clicking, sorry the images are few in quantity and fairly low in quality as they were not a priority on this trip. Today's the day! 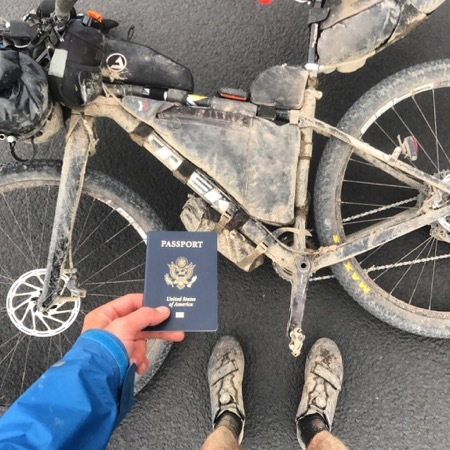 Starting off with what seems to be classic Tour Divide weather... rain. Mayaan and I made a quick run to Subway to stockpile some sandwiches after some coffee and breakfast at McDonalds (only thing that was open early). Around 7 AM bikers began streaming into the YWCA parking lot for a speech by the unofficial TD spokesman, Crazy Larry. From there we lined up for the 8 AM depart. My nerves instantly settled once we were finally off and riding the start of the route. All the anticipation was over, all the questions about gear and preparation didn't matter now. All I had to do was ride my bike. Following Maayan to coffee and breakfast the morning of the race. Rainy start. On the days leading up to the race I was conflicted on wether or not I was going to go hard on day 1, or hold back for a few days to see how the body holds up. My roommate at the YWCA, Kiwi veteran Rob, said give her hell. His reasoning was everyone is tired on day 2, and even more tired on day 3, whether you hold back or not. So I found a comfortable pace that felt like I could still hold a conversation, but wasn't holding back. 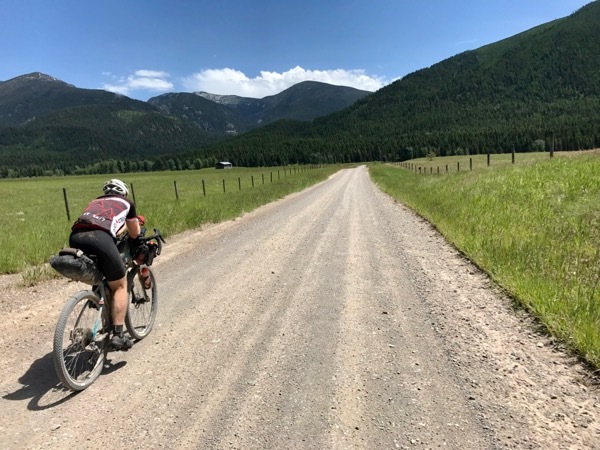 Eventually, about 100 miles into the day, I caught up with Rob at the turnoff to the oh so loved alternate route. 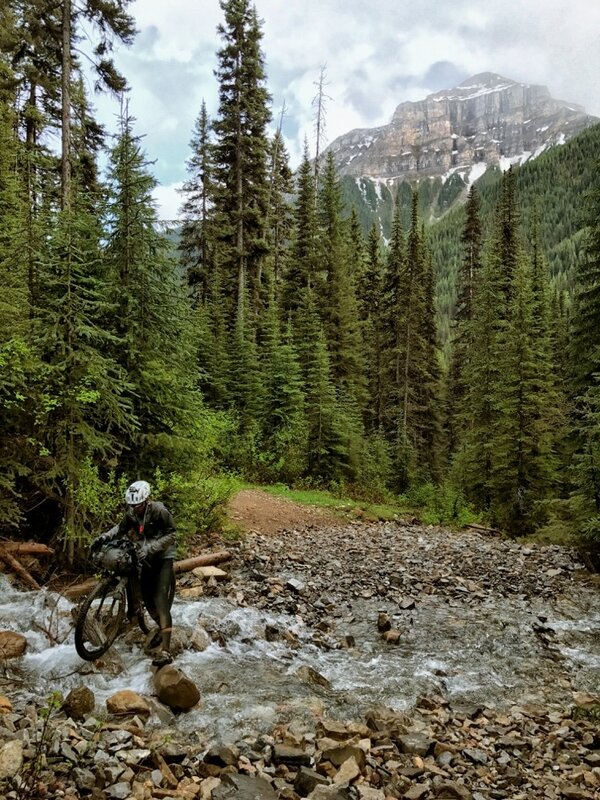 We ended up matching paces and biked / pushed bikes up the insanely rocky trail towards Fernie. I'd say there were at least 3 miles of unbikeable uphill. 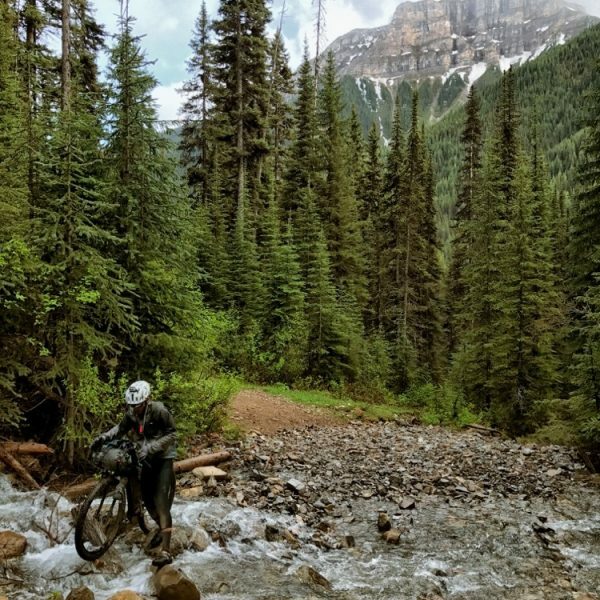 Some people caught up to us at the top of the hill and we had a full crew riding the downhill and then river trail towards Fernie. The crowd thinned close to midnight and we pushed on to Fernie, arriving at the gas station in town around 2:00 AM. We crammed some hot case pizza down and slammed some chocolate milks before looking for a place to sleep. You can check out more of his excellent photos here. 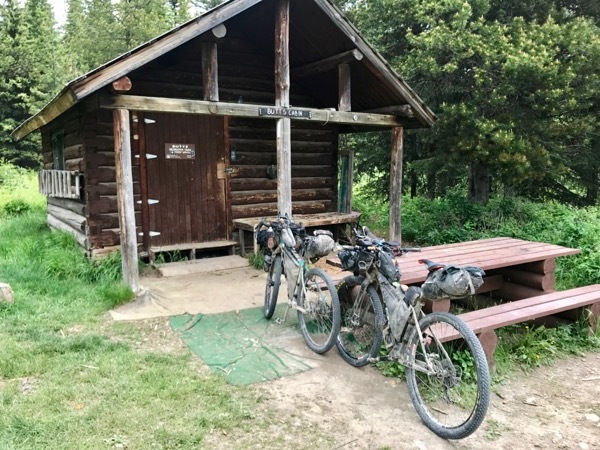 Fortunately, we didn't have to look far for a place to sleep because 4 middle-aged drunk Canadian guys rolled up on bicycles and called out "Tour Divide riders!? Where you guys staying eh?". The one guy ended up offering up some space under his carport for us to sleep that night. It was a comical ride to his house a few blocks away. 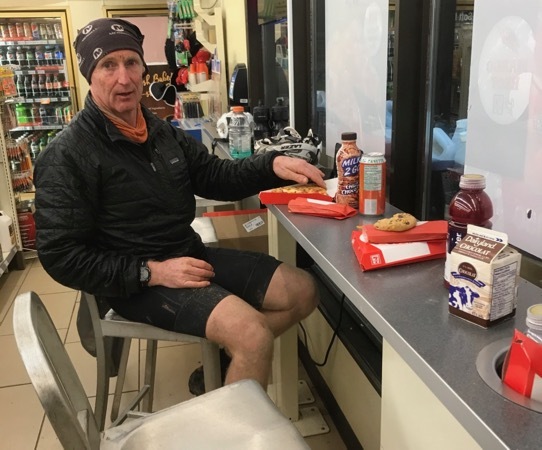 We were going to get some more sleep today, but I woke up before my alarm anxious to hold our lead on the riders behind us, so we hit the road after returning to the gas station for a quick breakfast / resupply. I remember the saddle being a bit uncomfortable this morning, but bearable at this point. Today began with a series of climbs as we worked our way to the border. We caught a good amount of rain in the afternoon as we approached "The Wall". 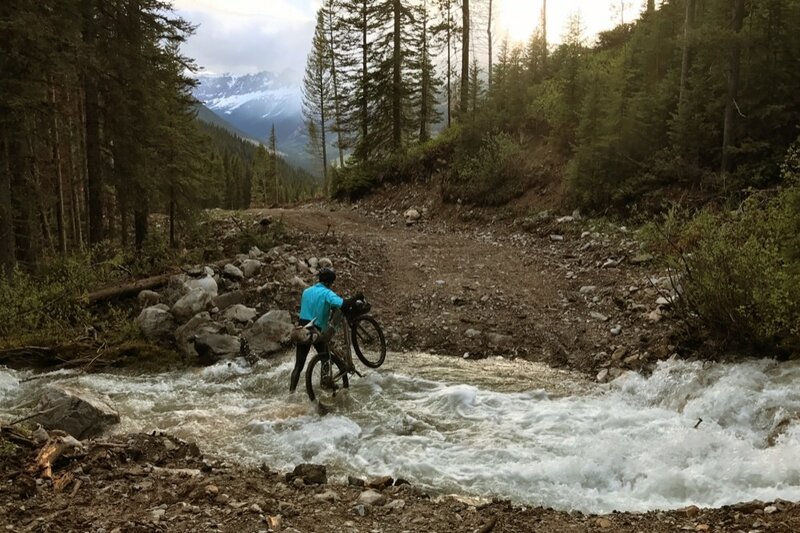 The Wall is one of the sections of the Divide you hear about from other riders. It was an absurd single track climb that is unrideable (the wet conditions didn't help). In comparison to yesterday's hike-a-bike segment, The Wall didn't feel like a big deal... much shorter. Shortly after The Wall is a big descent to pavement before the Canada/USA border. It felt great to cross on Day 2. I really wasn't expecting things to be going so well! It was another quick 10 miles or so to Eureka where we scarfed down some Subway, snacks, and chocolate milk before hitting the road again. We ended up riding a good distance past Eureka. After the sun set it seemed like we would get our 3rd (4th?) wind and push until we were sleepy. We ended up camping in the woods of a rural area under some trees. I lazily hung our subway sandwiches away from us in an attempt to be smart about bears. 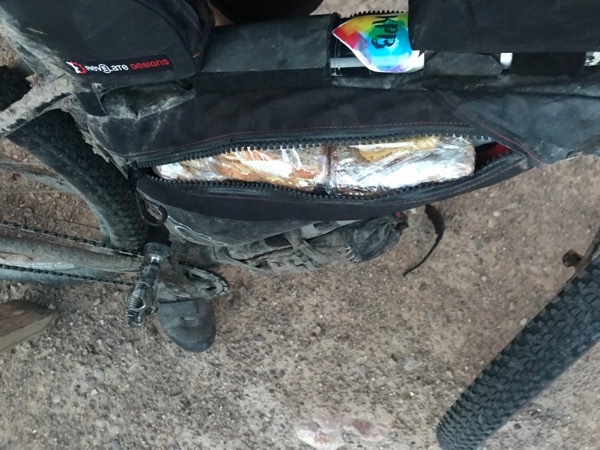 Everyone talks about bears and encounter prevention, but I wonder how many cyclists really hang there food at the end of a long day... I know I practically never bothered. Once your sleeping bag is on the ground, it's hard to do anything but fall asleep. This morning it took me a bit to find my pace. Saddle sores were starting to become an issue and my ankle was getting stiff. After about an hour I had settled into a pace and felt good again. This was looking like the new norm in the morning. Shortly into our first climb today, we hit snow. This ended up being a good hiking stretch and riders Ty and Thomas caught up to us just after hitting the snow. 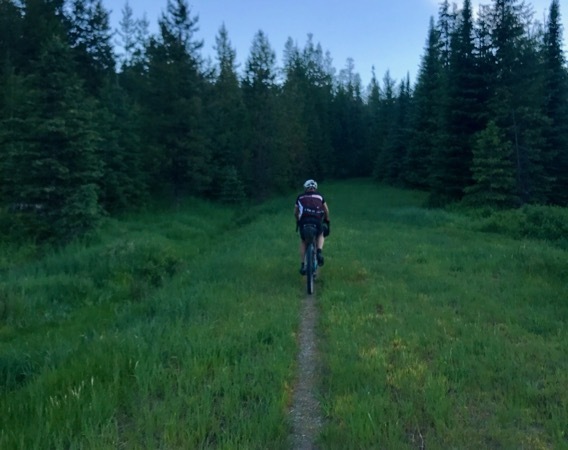 We ended up pushing / riding together most of the way to Whitefish, MT. Ty and Thomas were talking about stopping in Whitefish for a good breakfast and we took this as an opportunity to sneak ahead of them. 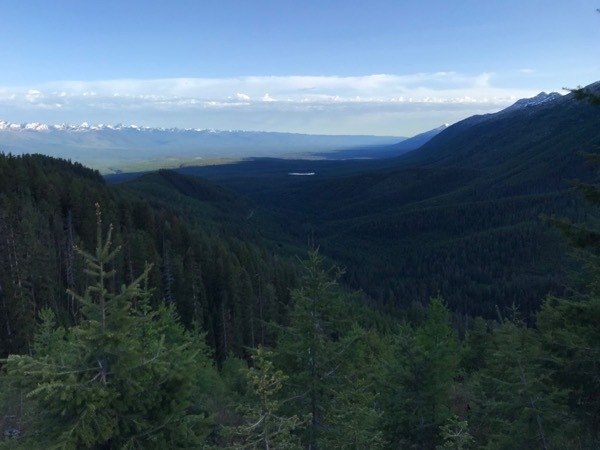 We ended up pushing hard to drop them with the hopes that they would think we were also going to stop in Whitefish, but instead pushed ahead to the next town down the road where we resupplied at the grocery store. Probably the longest snow section of the trip. 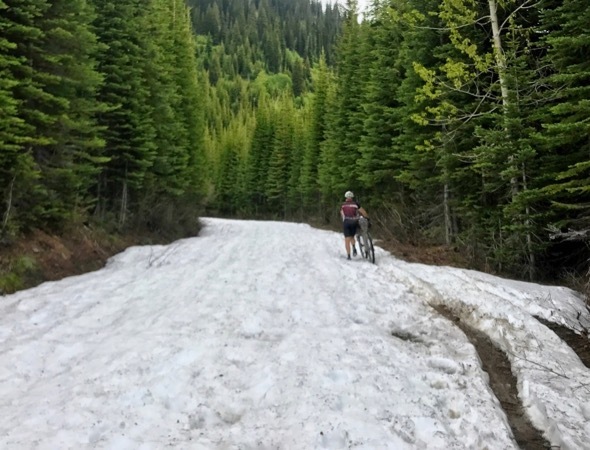 Some northbound guys who started 3 weeks earlier hit tons of snow. From there we had a good stretch of pavement before the climbing began again. Things went pretty well from here, but I remember thinking it took FOREVER to get to Holland Lake. Rob kept misremebering how far we had to go. We were "almost there" several times, and "almost there" turned into hours of riding. I was ready to be done riding, but we kept going and going and going. By the time we got there I was spent. 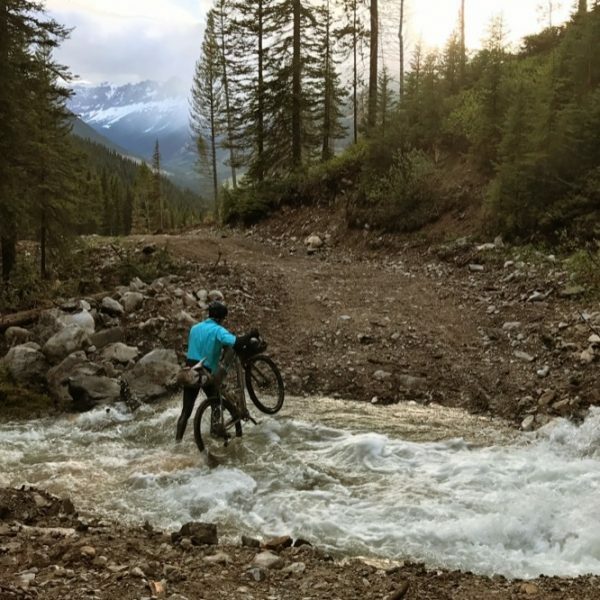 We couldn't find the lodge, and when Rob stopped to ask some campers for directions I actually fell asleep standing over my bike. It was only 10:00 PM or so when we got to the lodge, but lack of sleep had caught up to me. 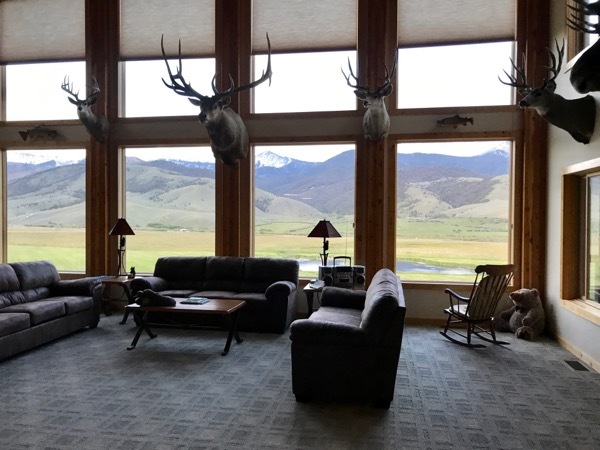 There was no staff at the front desk (small place) and so we just crashed on the floor in the main room of the lodge. Greg, another rider who had crushed it on the first day but was now dealing with lung issues was there. He said he was going to have to slow down and just enjoy himself, so he was sitting in front of the fire with a beer and raving about how good dinner was while I grumpily ate my 10th cliff bar of the day. I didn't hear much else because I quickly passed out in the corner. Around 3:00 AM I woke up to Rob saying he wasn't getting anymore sleep tonight. He had been kept awake by a pretty nasty cough. So, after a minute of rubbing my eyes, I agreed I'd get up and join him. It was nice to get a jump on the guys at the lodge, but I was struggling on the climb out of Holland Lake. Things improved once we got up high enough to take in the view. 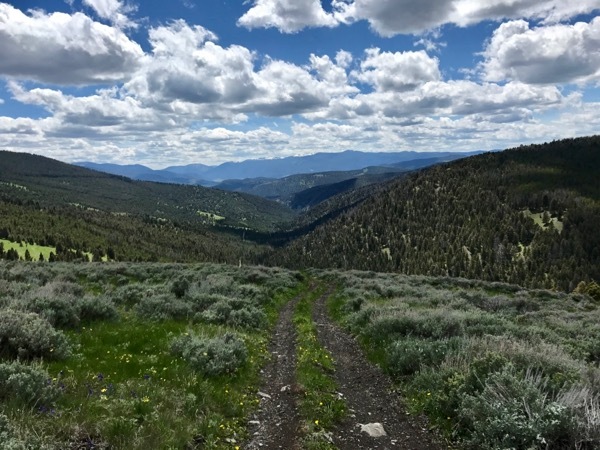 The downhill toward Ovando definitely improved my spirits. Hard to be down with views like this! 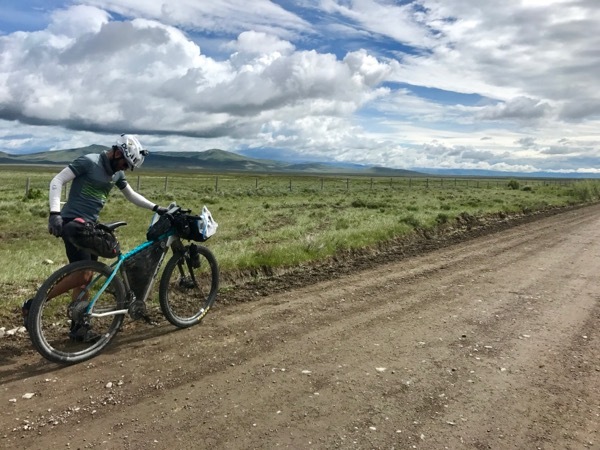 Once in Ovando, a lady who was posting updates for bikepacking.net got our pictures (post here) and gave us an update on the leaders. We were tied for 4th! Ovando had a nice cafe, so we finally got a hot breakfast. I had the double order of biscuits and gravy and a giant cinnamon roll. Afterwards, we resupplied across the street and hit the road again. 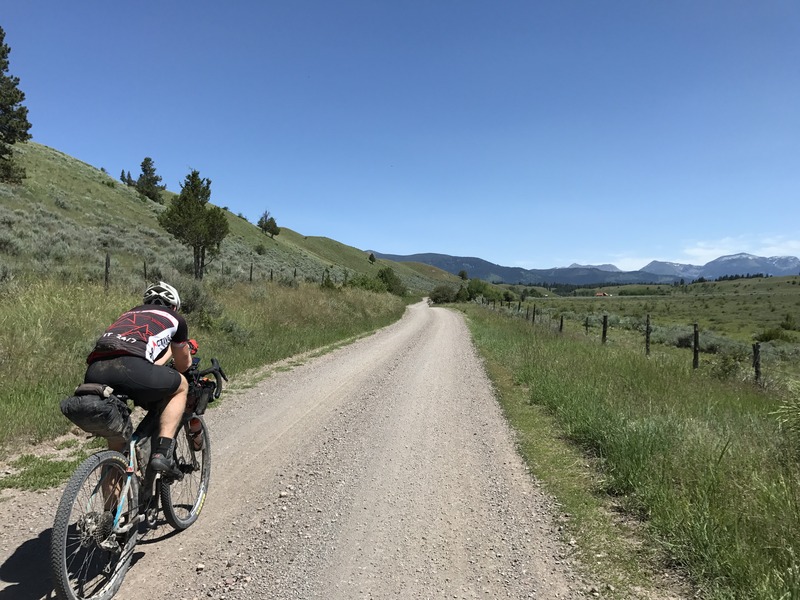 We had a big climb before Lincoln, which was the last stop before Helena. From Lincoln, we had 3 passes to tackle before Helena. The first of which was pretty technical and we hiked a bunch of it. Once on top we were rewarded with a thunderstorm and cold rain. I was shivering on the entire descent. At the bottom, we decided we had to get to Helena that night. It looked like it could rain again and Rob wasn't about to bivy in that weather. The next two passes went well, but took a looooong time. I remember falling into a pace that felt like I could ride forever. I was tired and ready to be done for the night, but I could keep on pedaling. It was nice that something was going right, because after cresting the 3rd pass, the trouble began. I had my crash at the top of the last descent into Helena resulting in broken aero bars and a gash in my elbow. We didn't waste much time and decided pushing on to Helena was still the best thing to do. Helena was farther than we thought. Even when we hit the pavement there was a long ways to go. We were clipping along, but it felt like we weren't making any progress. I remember having the illusion that we were on a pavement treadmill. Endlessly pedaling in place. It was 2:00 AM when we rolled into Helena. 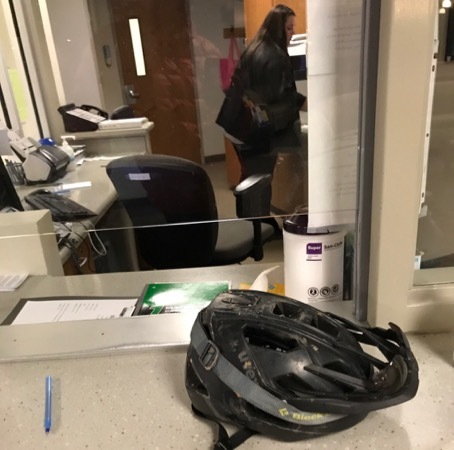 We got a cheap hotel and I rode to the emergency room to get a few stitches. It was 4:30 AM by the time my head hit the pillow. Rob was getting up to ride in an hour... I wasn't going to be able to join him. The damage Hanging at the ER... Wishing I was fast asleep in bed. I slept until about 8:30 AM this morning and sluggishly worked on fixing my bike. I snapped the other cracked aero bar handle off and taped the ends, moving my GPS and light down to the new straight ends. I cleaned my rain coat and used gorilla tape from the inside to patch up the holes. Everything was functional again! I took it a little slow this morning and grabbed breakfast next door. On my way out of town I stopped at the bakery and packed some cookies and a sandwich away. 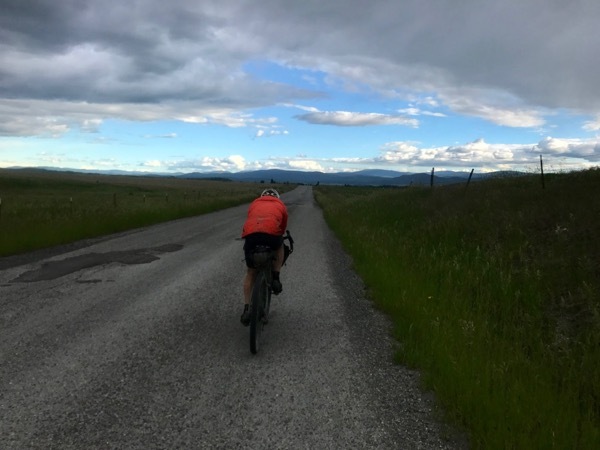 Thomas caught up to me on the climb out of Helena. He said Ty was up the road a little, and just then Stefan passed us. 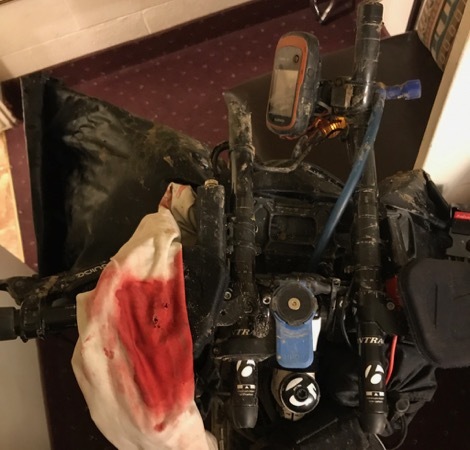 He broke his derailleur on Day 1 and had been hammering ever since he repaired it. Never saw him again, though I hear he ended up scratching near the end unfortunately. Thomas and I rode together the first half of the day, a fairly big climb up and over Lava Mountain. The top of the climb was rocky single track which I walked most of. 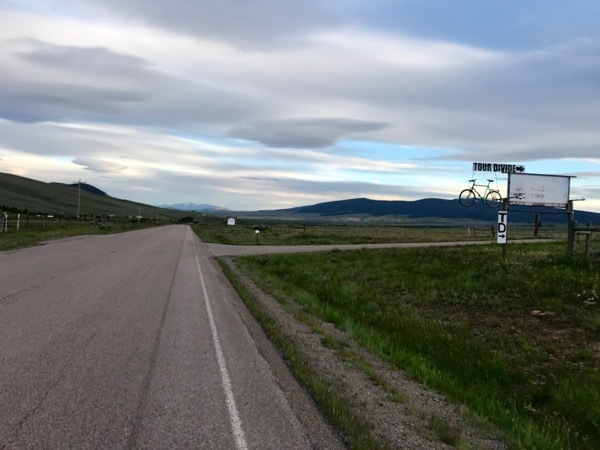 Around noon we rolled into the tiny town of Basin and had burgers at the cafe. Thomas rolled out pretty quick. I was still feeling tired and sluggish, so I didn't try to keep up. On the way out of town I had a bit of a mental breakdown. 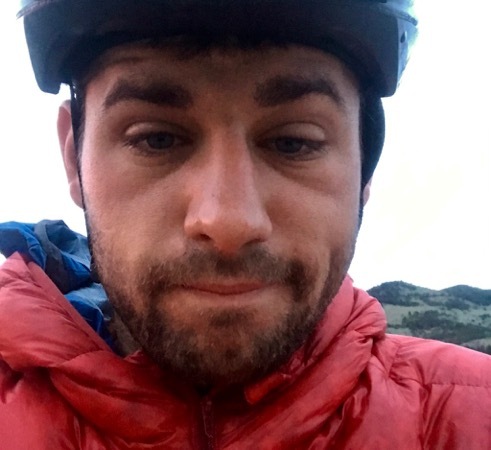 My saddle sores were extremely uncomfortable and it had begun to rain again. I had a hard time keeping a strong pace the rest of the day and was having a mental battle about whether it was ok or not if I couldn't hold the racing pace I wanted. Weight reduction! The new "Micro" aero bars. Who needs handholds?! Besides, I couldn't really set my left elbow on the aero pads anyways now. 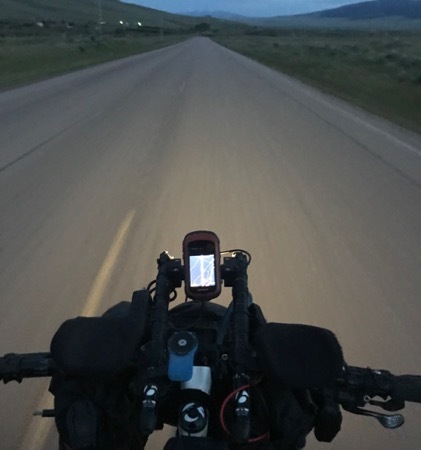 I found some energy late in the day and picked it up for the last leg into Butte. 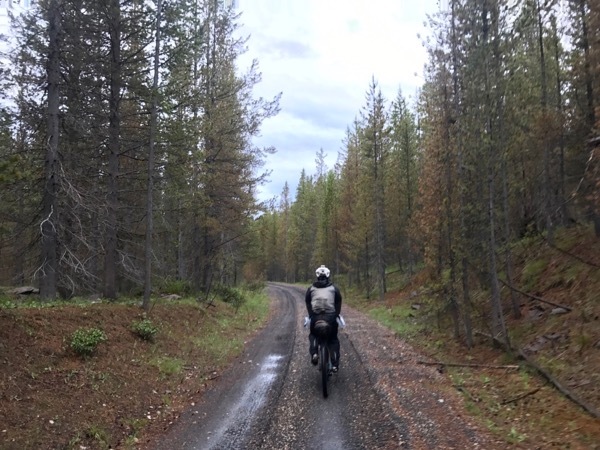 I stopped to look up places to stay because I wasn't fond of setting up camp in the pouring rain, when Andrew (a different Andrew than before) caught up with me. He had a hotel room already, so I split it with him. We walked around looking for food and had to settle with Taco Bell. By the time we ate and showered, I had probably wasted the opportunity for 1.5 - 2 hrs of extra sleep. Morning came quick today. Andrew set his alarm for 5 AM and I decided I should probably get a move on as well. There was a grocery store nearby that I was going to resupply at before leaving town. My mind was foggy this morning and I felt like I was walking in circles at the grocery store trying to get food for the day... I've since decided that grocery stores should be avoided if possible as there are just too many options and too much distance between items for a quick resupply. Once I finally hit the road, I found my knees were achy today. I took some ibuprofen and after an hour or so of riding things finally loosened up. It was slow rolling today, my body was feeling battered and I felt sleep deprived. After riding Fleecer Ridge, there was a small resupply in Wise River. I loaded up on snacks and got my fill of ice cream. 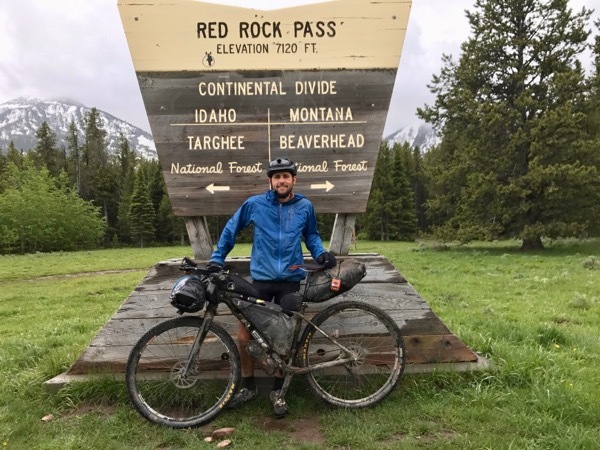 A Tour Divide rider named Bernard caught up with me here. I chatted with him for a bit before finishing my coffee. I was glad to run into him, because it motivated me to push a little harder that afternoon to maintain my lead. The rest of today had a lot of mountain climbing on pavement. Somewhere along this segment, Ben (3rd place finisher) cruised by me with his new fork. He broke his a day earlier descending down Fleecer Ridge (I think that's the story). I wonder how he would have finished without those complications. 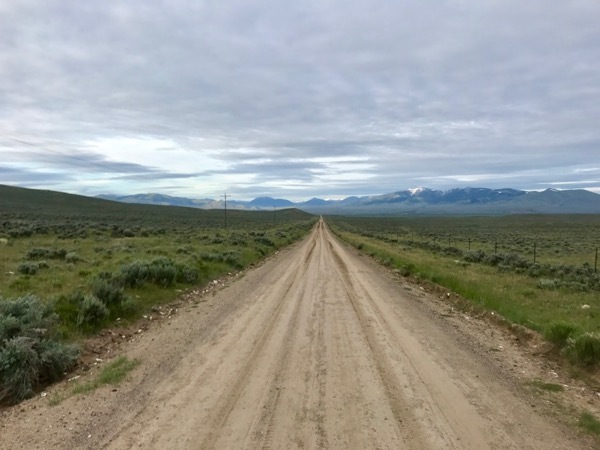 As evening approached I was coming down the pass towards Polaris and knew I needed to resupply before the next long stretch down Bannack road to Lima. Unfortunately, the small store in Polaris was closed, along with the nearby lodging's restaurant. I was just thinking I was going to have to camp out until morning when Russ from High Country Lodge drove up. I was surprised when he said "Brad right? Come on down the road a couple miles and we'll cook you up some dinner. I saw you were trying to get to the shop in Polaris and drove up here". Man how cool is that?? I thanked him and said I'd see him shortly. Russ and his wife Karen were awesome and their lodge was beautiful. 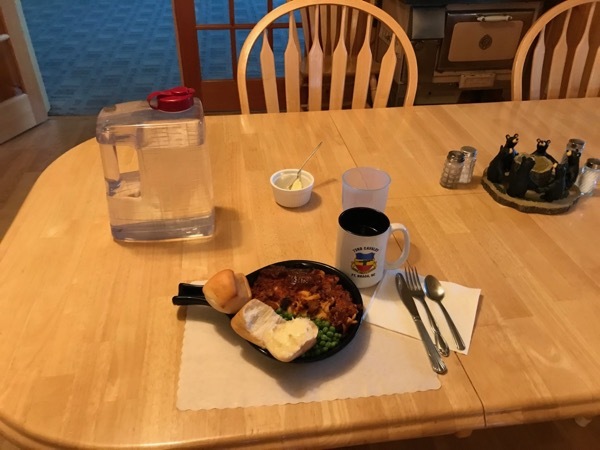 Karen made a plate of lasagna and some coffee since I was planning to hit the road. While I was eating she also made me some to go sandwiches, each wrapped with a chocolate chip cookie! No waiting around for the store to open tomorrow! I'm saved! I definitely heard about this place, but didn't have it on my cue sheet. I didn't realize it was so close to Polaris. As I was finishing up, Bernard showed up. He was going to spend the night, something I wish I would have done as well as I ended up having a terrible nights sleep. 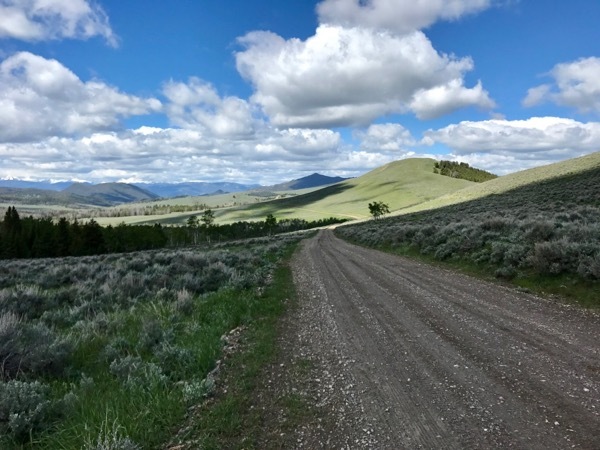 Russ told me about a good camp option near Bannack State Park, which I decided would work well to get an early start on Bannack road tomorrow. We chatted a bit as I packed my bags, he said I was doing well (think I was in 9th at this point) and I said I'd hope to catch him again another year. Sandwiches for the road. PB&J's are the most satisfying thing I packed on the trip. By the time I got back on the road, I was already getting sleepy. It ended up being a drowsy slow pedal to the camp area. 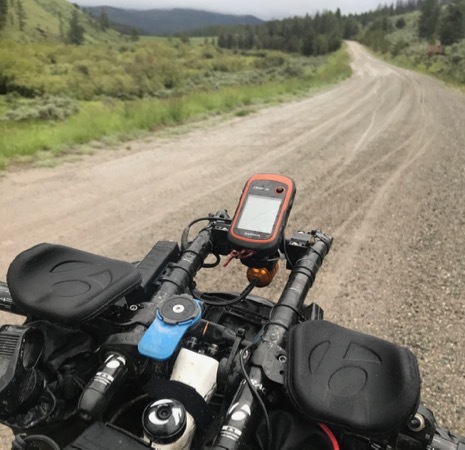 I rode around for a while looking for a place to stealth camp and ended up settling on the worst possible spot in the sage brush... unlevel ground, too tired to even set up my air mattress, and the smell of sage was so strong that it was almost making me feel sick. I woke up several times, eventually cold from the lack of insulation between the ground and got out my air pad. I don't think I ended up getting much sleep... should have slept in a bed 10 - 15 miles back at the lodge. 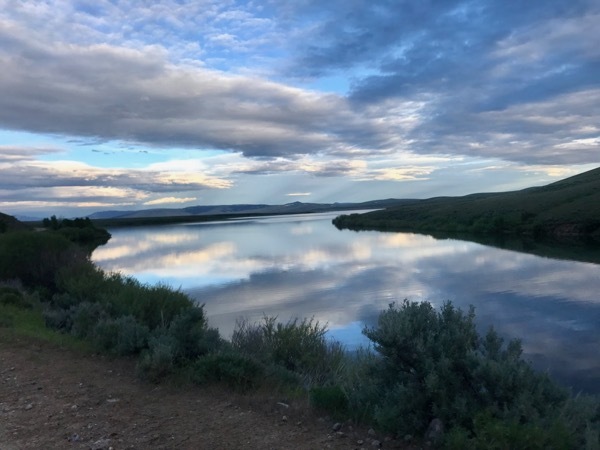 Rough start this morning after poor sleep amongst the sage brush. Bernard likely passed me by the time I struggled back onto the road. I think today and tomorrow was one of the worst my body felt the entire trip. My ankle pain seemed to only be getting worse. It was now very difficult to walk in the morning or even put my left shoe on for that matter. Bannack road stretched on for most of the morning. I can see why this road is infamous for mud, there were tire ruts everywhere, but fortunately the road was dry for me. I was passed by another rider this morning, Steve from New Zealand. I remember Rob telling me about him and wondering why he wasn't ahead of us. Apparently he had also fallen victim to the mud on Day 1 and lost his derailleur. He was going strong and pushing his way back up front. I found a pace that carried me to Lima. I was struggling... my body ached, my ankle was in bad shape, and I was oh so tired. I decided I was going to take a nice long late lunch at the diner and go to bed early that night. While eating, Lee and Rickie rolled in. Two strong female riders from Scotland and London. We chatted for a bit before I went outside to elevate my legs and stretch. 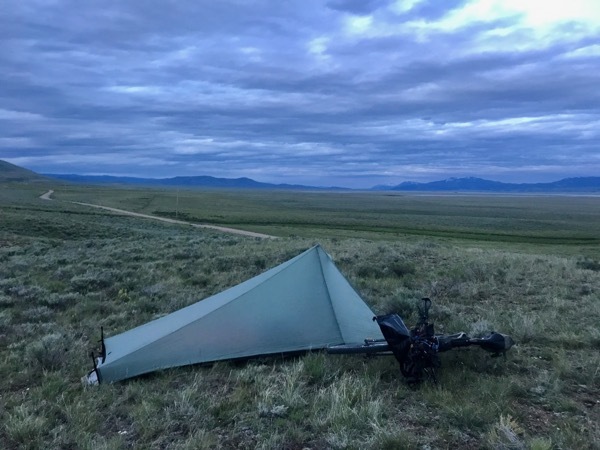 After a lazy resupply they went ahead of me and I pedaled out of town and decided the Lima reservoir would make an excellent place to camp. I set up my tent for the first time, had some snacks, and passed out. I slept in today. Big time! I didn't care either... I had accepted that I need to recover if I was going to finish this thing. I watched from my campsite above as three riders rode by this morning. I don't think they saw me, I didn't call out to them. I just ate my pop tarts and enjoyed the view. 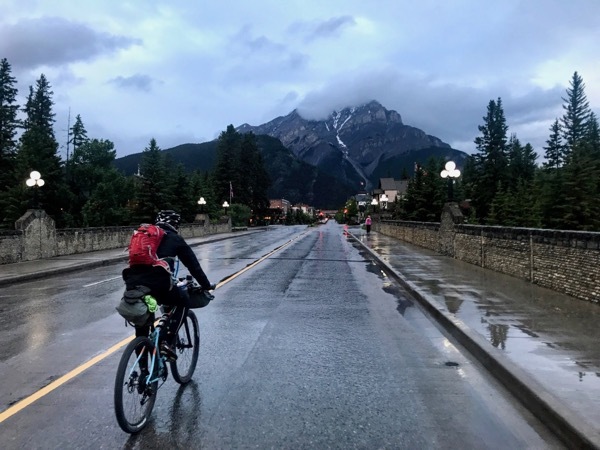 It was Peter and Nathan from New Zealand that I had met in Banff and one other rider I didn't recognize. I got back on the bike feeling a little refreshed. My body was still sore, but I felt like I made the right choice sleeping in. A ways down the road, Andrew caught up with me. 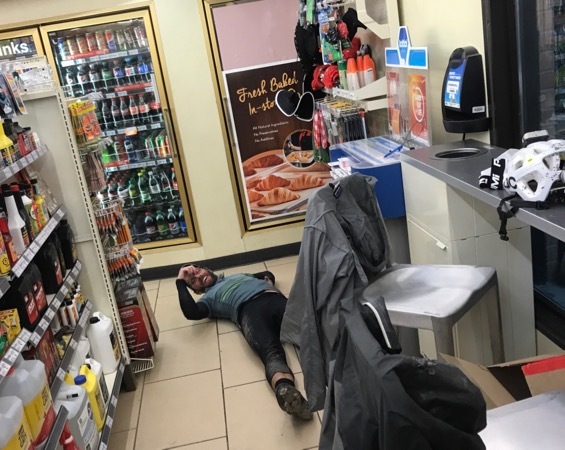 I didn't realize at the time that he was the guy I saw on the gas station floor in Fernie on Day 1. He was also a bit of a hurting unit, so we rode together today. The high meadows and lakes that we rode past all morning were beautiful. It was nice to have some flat terrain. The road eventually led to a small pass which brought us to the first US state border crossing. Hello Idaho! By early afternoon we arrived in Sawtelle, ID and grabbed some all to familiar Subway. I was getting sick of Subway, but it is familiar to the stomach and it can make for a quick stop. We weren't to quick... we had to build some motivation to go back out in the rain. It rained most of the day today. We resupplied at a gas station across the street before heading out. I ended up buying some 2 cycle motor oil to refill my chain lube bottle. I ran out of chain lube this morning... all this weather made it hard to keep my chain clean and I was constantly applying chain lube. 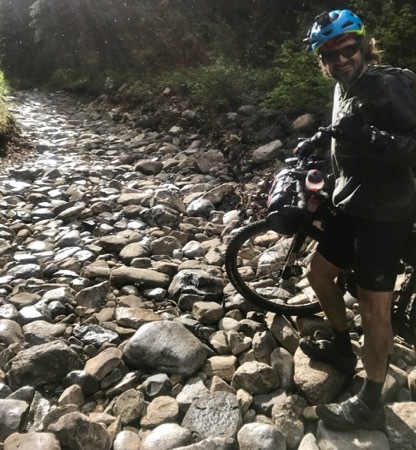 Once on the road, we turned onto the worst rail trail I have ever ridden. It was so tracked out and washboarded by ATV's that you had to stand and peddle most of the time. 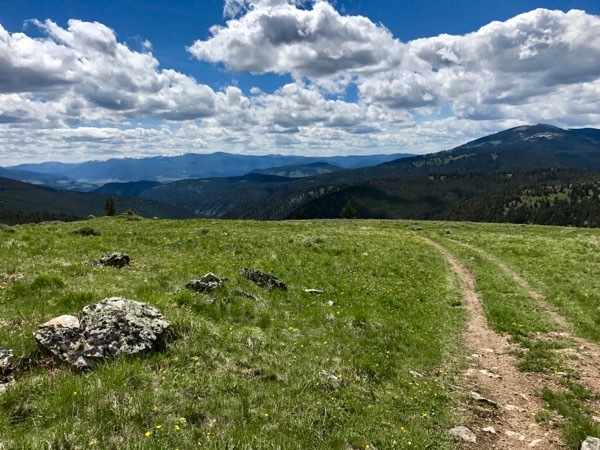 Conditions began to improve after 15 - 20 miles and as the sun got low in the sky the trail gave way to some epic scenery. I didn't take any photos because there wasn't enough light. We rolled into Warm River Campground around 10:30 PM and setup up underneath the main pavilion to stay out of the rain. After a half a subway sandwich and a snack we passed out. Soft and bumpy rail trail. I think we lucked out by having rain... drier terrain would have made for an even softer trail.